SAP Business One Intercompany helps businesses with multiple business units and subsidiaries manage operational complexity - to consolidate financials across all operations for reporting, provide visibility into the sales performance of each entity and streamline inter-company procurement transactions. SAP Business One HANA can supercharge the performance of your SAP Business One with power of in-memory computing to application performance & analysis. 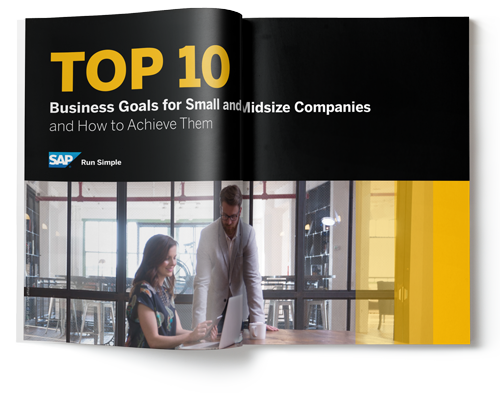 10 Top Business Goals Business For Small and Midsize Business ebook highlights how small and midsize companies are facing new challenges and opportunities as they strive to grow their business within the modern digital economy. 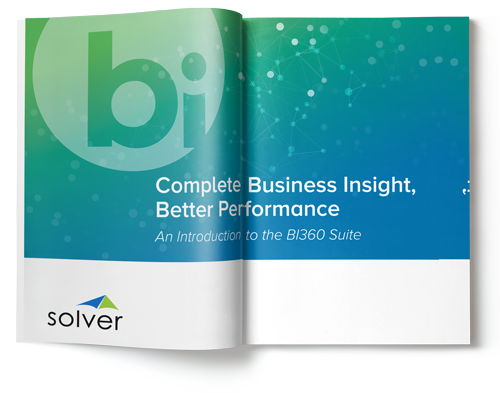 Solver BI360 Introduction brochure provides a brief overview of Solver BI360 as a preferred business intelligence tool that works seamlessly with popular ERP solutions like SAP Business One and Microsoft Dynamics 365. Solver BI360 is the ideal enterprise intelligence platform for better and faster decision making for strategy, forecast, budgets, reports and analysis. Solver BI360 brochure provides detailed information on BI360 business intelligence tool and its features. 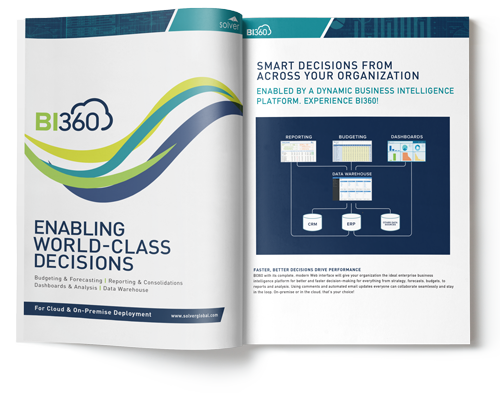 BI360 is a complete, modern web interface which will give organisations the ideal enterprise intelligence platform for better and faster decision making for strategy, forecast, budgets, reports and analysis. 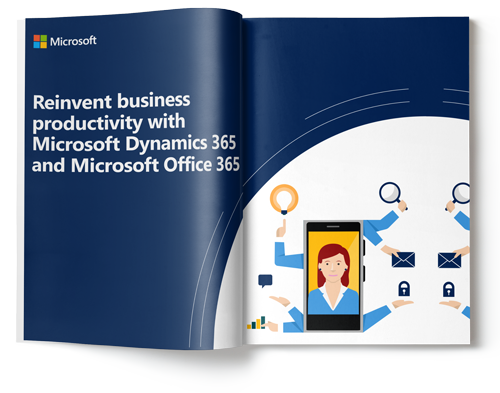 Reinvent Business Productivity eBook explores how Microsoft Dynamics 365 Business Central integrates with Office 365 to connect business processes and personal productivity, bringing insight and efficiency to your daily tasks. Beyond The Basics workbook helps business owners to capitalise on changes that is beginning to threaten productivity and turn it into competitive advanced that builds towards future success. 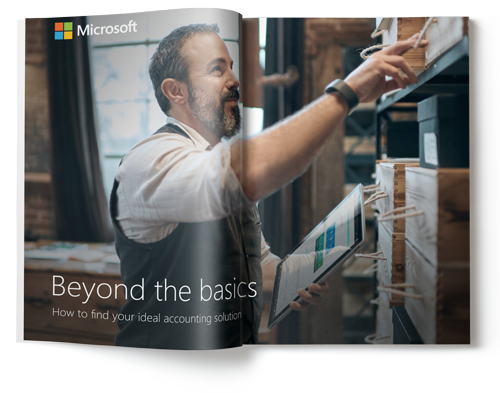 Beyond The Basics brochure examines the need of businesses as they outgrow the basic accounting software. 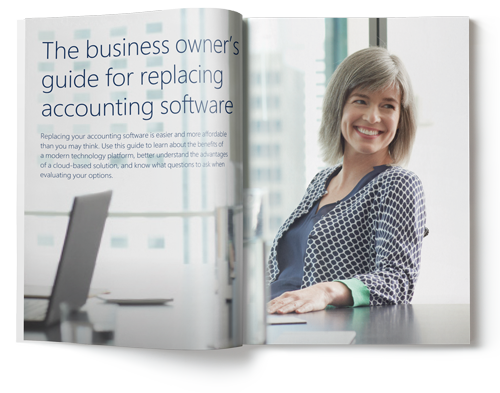 Your accounting software needs to serve the business you've built and the one you strive to be. 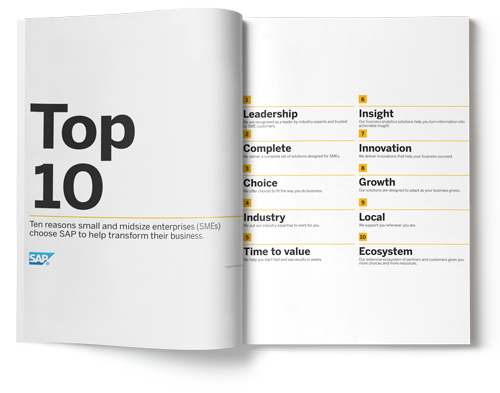 10 Reasons SME Choose SAP brochures highlights why SAP Business One solution is the preferred choice for many SMEs around the world. MicroChannel as a local partner in Singapore provide localised solutions that meets local requirements while providing the same robust business solution. 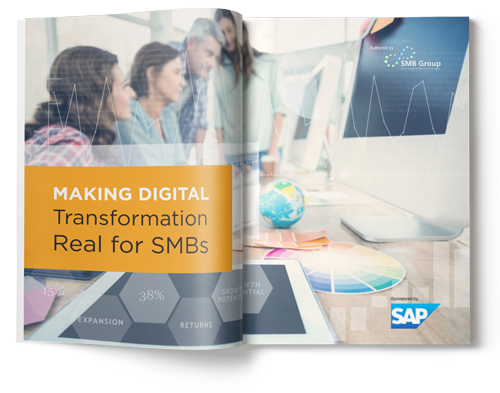 Digital transformation for SMB brochure highlights the explosion of business data, proliferation and connectivity of powerful computers and smart devices and growing sophistication of software applications and cloud-based services. Explore how SAP Business One and how it is fuelling digital and business transformation initiatives across the SMB landscape. 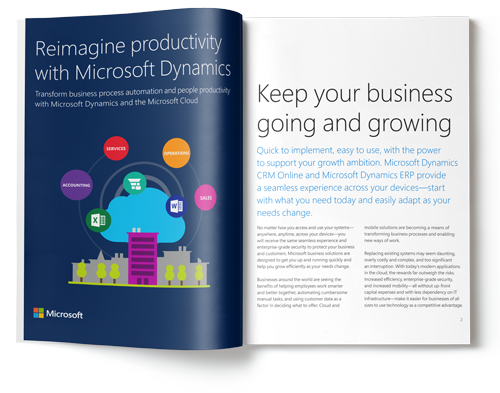 Reimagine productivity with the use of Microsoft Dynamics that is designed to help you get up and running quickly and help you to grow efficiently as your needs change. With today's modern applications in the cloud such as Dynamics 365, the rewards include increase efficiency, enterprise-grade security and increased mobility. The rapid advancement of technology has impacted the retail industry by leaps and bounds and has made customer centricity more important than ever. The internet has opened up new markets to businesses as well as their competitors and budding new businesses. 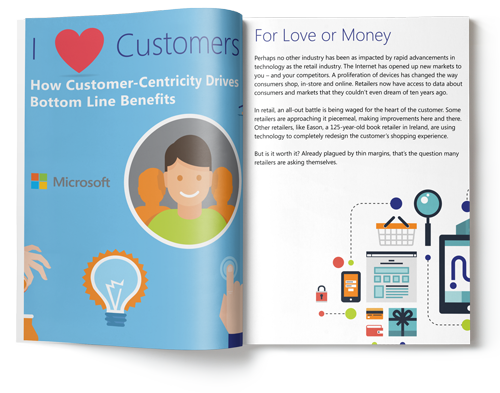 This ebook takes a closer look at the trends impacting the retail industry and how customer centricity affects the bottom line benefits. 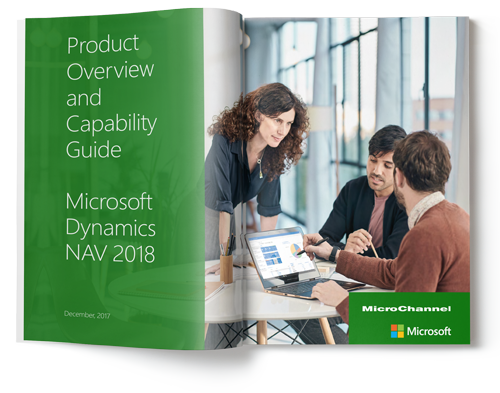 This guide outlines the benefits of a modern technology platform, the advantages of a cloud-based solution like Microsoft Dynamics 365 and the right questions to ask when evaluating the business management solution. 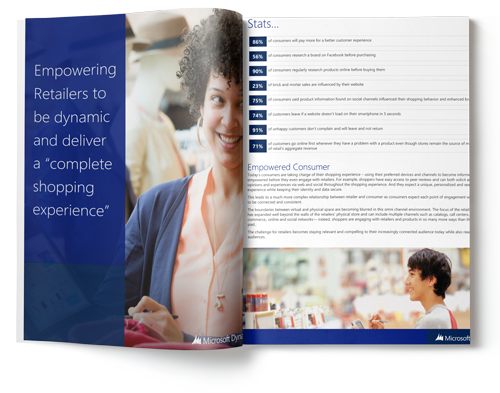 Microsoft Dynamics Retail is a modern, unified retail solution that reduces complexities for retailers, allowing them to focus on connecting with customers and empowering employees across all channels. 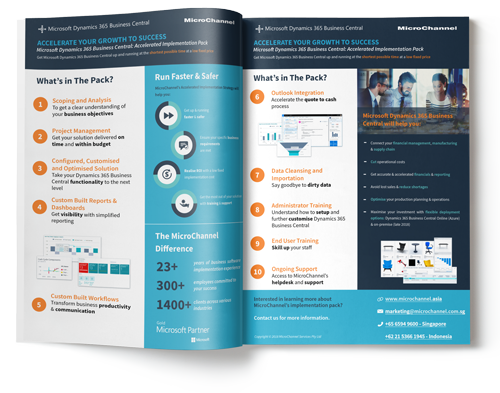 Dynamics 365 Business Central Accelerated Packis an accelerated impleemntation strategy that will help you to get up and running faster, ensure your business requirements are met, realise your ROI with a low fixed implementation investment and provide you with training and support to get you ready for Dynamics 365 Business Central. 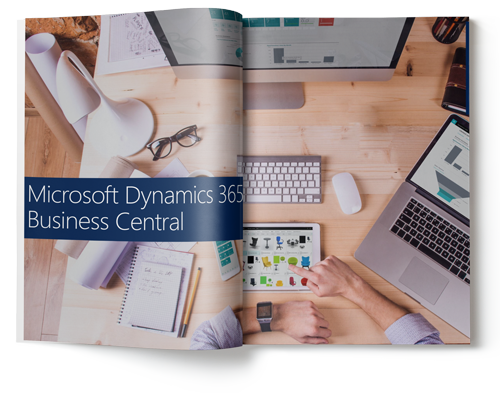 Microsoft Dynamics 365 Business Central is a powerful all-in-one business management solution for small and midsize businesses. Includes financial management, supply chain, inventory management, sales and service management, project management, manufacturing and operations management. Retail Management Solution such as LS NAV Retail and Dynamics 365 for Retail provides customer engagement capabilities that include store operations, channel management, order management, marketing and care, and business intelligence. Retail Management Solution (RMS) also includes back office capabilities, procurement and financials, delivering full visibility across the entire business operation. Inventory represents one of the largest expenses for many small and midsize businesses. The SAP Business One® application offers best-practice functionality to help you meet your inventory and production management requirements. Balancing accurate inventory management with cost-effective production is crucial for delivering on promise and keeping customer satisfaction high. Managing procurement effectively in your company requires a business application designed for small businesses and midsize companies. The SAP Business One® application supports integrated procurement management and optimize purchasing practices and control costs. Download the MicroChannel Corporate Profile for more information about the company and our products & services. 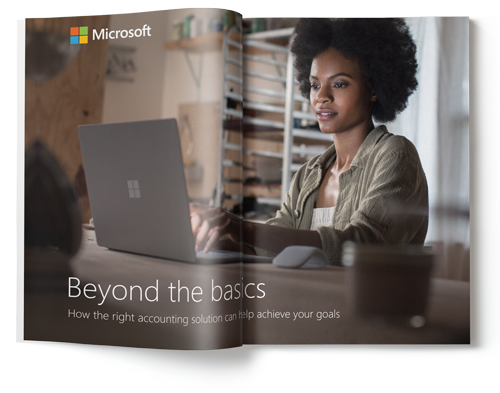 Small business and midsize companies grows, so does the complexity of managing its financials thus there is a need to expand the use of accounting-only software to take your business to the next level. The SAP Business One® application is capable of automating everyday financial task and integrating them with other business processes. 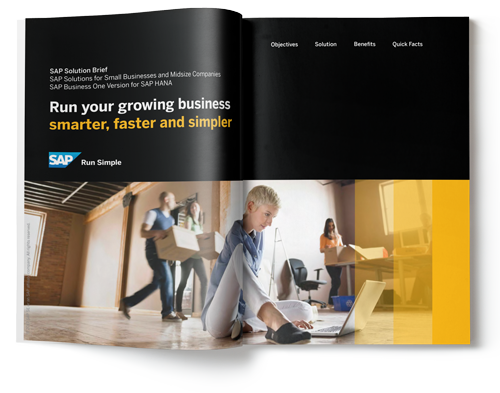 SAP Business One overview brochure highlights the SAP Business One - a practical, user-friendly business management software created specifically to meet the business demands of small to mid-size companies. It integrates sales, distribution, financial, manufacturing and customer relationship management within a consolidated system.